Prominent & Leading Manufacturer from Chennai, we offer hydro mechanic belt arresting clamp, conveyor belt arresting clamp and belt lifting clamp. 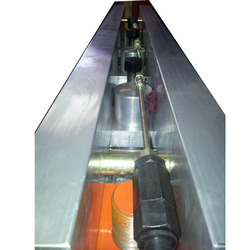 We manufacture and supply of the “Belt Arresting Clamp” which can be used for hold the belt ends while doing the belt jointing and other maintenance work. 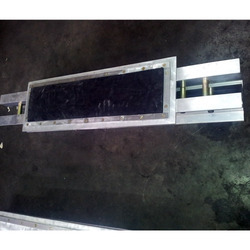 Normally peoples are using the Channels or Angle for belt locking purpose which is not safe and trust worth, and many times it is getting fail and damaging the belt as well as the structures. 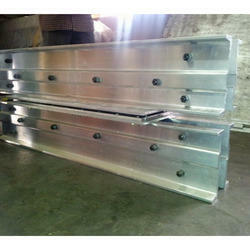 We are developed the system which has proven to avoid such type of damages or lose in the conveyor systems. 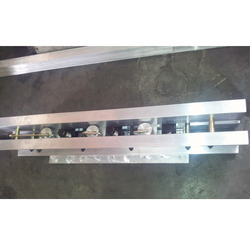 It is having the double pressure systems “Hydraulic and Mechanical” device which is preventing from the belt slippage and damages. Captivating the skills of our professionals, we are involved in rendering HYDRO MECHANIC BELT ARRESTING CLAMP. 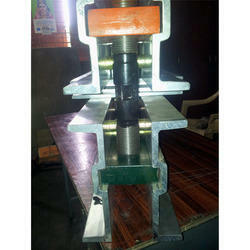 Being an eminent company, we are involved in rendering HYDRO MECHANIC BELT ARRESTING CLAMP. 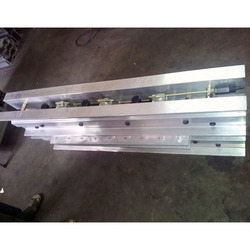 Captivating the skills of our professionals, we are involved in rendering CONVEYOR BELT ARRESTING CLAMP. Being an eminent organization in the industry, we are involved in providing a premium quality range of Belt Lifting Clamp. 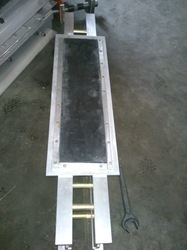 Looking for Conveyor Belt Arresting Clamp ?